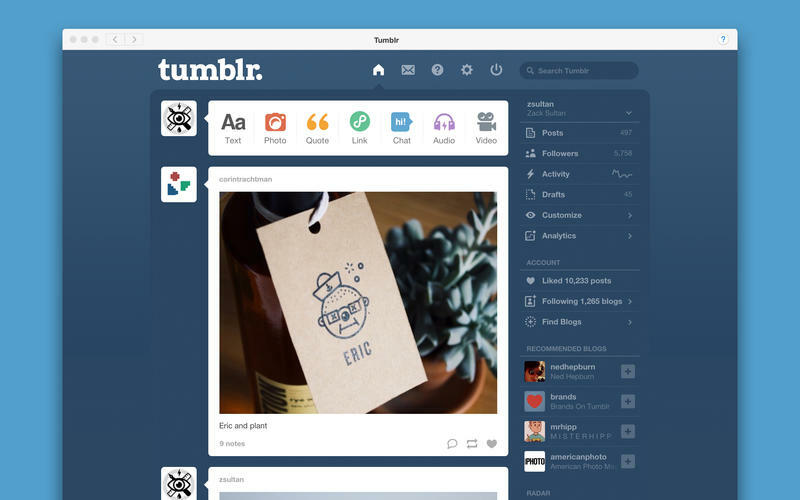 In celebration of Apple’s release of OS X Yosemite yesterday, Tumblr has today released a desktop version of its software which allows you to share content directly from your desktop to your Tumblr page. The company says that any window that has a share button will allow you to send content directly to your page. On top of this, it functions as a dedicated Tumblr-only browser.